However they are, they always say something about the nation. The flags of the world vary distinctly from one nation to the other; in the same way, the national history behind the design differs from one nation to the other. Embedded in a flag is a range of so many things, past struggles, peaceful existence, a vision, an idea that the nation strives to uphold. The flag is not just some piece of cloth with colours and designs on it, it is symbolic of the wholesome image of the country. Every flag stands for something important, thus respected. Ever wondered why the ripping of a nation’s flag is a clear indication of war? Why are flags displayed before several national and international occasions, soccer inclusive? Why are national flags saluted? Why is it stationed in vital institutions and even more, demands so much of a ceremony to either raise or lower the flag? That is just how much a nation’s flag is worth and revered; a physical piece and signifier of solidarity. Not any artist is qualified to design this symbolic piece, from the conception and execution of ideas demands a whole reputable team – from the historians to the very last person in the team is crucially important. As said earlier, every sign, symbol and colour say something about the owner-nation; thus the design has to be soothing to the image of the nation. The Chinese flag of a plain red field and 5 golden stars – 4 small stars and a large one; was adopted on October 1, 1949. The flag speaks volume about the communist revolution- the relationship amongst the people and the effectiveness of the communist leadership. 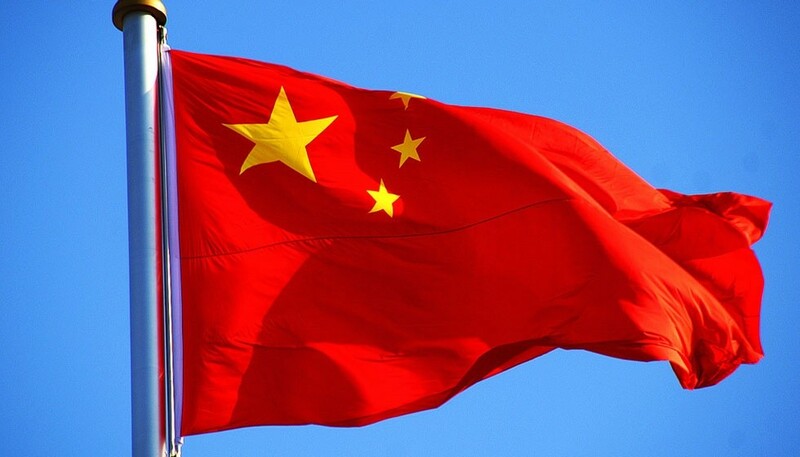 The flag which generally represents the Chinese tradition was designed by Zeng Liasong. The South African flag was first raised on 31st May 1928 and later officially adopted on April 27, 1994, after their independence and the swearing-in of Nelson Mandela as president. The flag was and is a sign of freedom and hope for the long over-due oppressed nation. As a direct influence of Madiba, the horizontal Y shape in the flag represents the unity in diversity concept of the country. The South African flag also shares some details with the ACN banner. 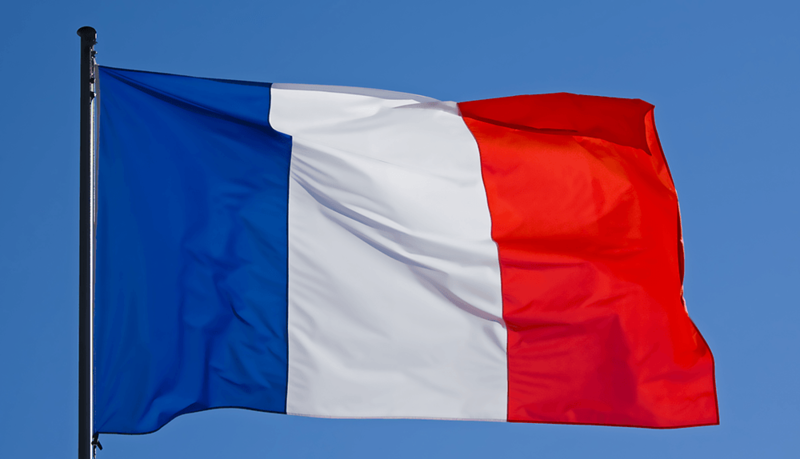 The flag bears references from the French Pan-Arabic flag. Syria in recent times is popular for disheartening reasons, however, the country has an identity worth knowing. The two stars – depending on the point-of-view – either represent Syria and Egypt, or Syria and Iraq. Aruba is a Dutch Caribbean Island and in fact, one of a tourist’s favorite spot – the blue represents the sea that surrounds Aruba; yellow is the color of abundance while the stripes represent the nation’s stand with regards to the Netherlands and other islands; red is for love and white is for the beaches. The flag day is celebrated with so much grandiose every March 18. The current Seychelles flag is the third national ensign to be used by the country since independence on June 29, 1976. The flag was officially adopted on January 8, 1996. It is characterized by 5 diagonal colours which represent the colours of the country’s major political parties as well as the anticipated dynamics and prospects of the country’s future during her struggle for independence. 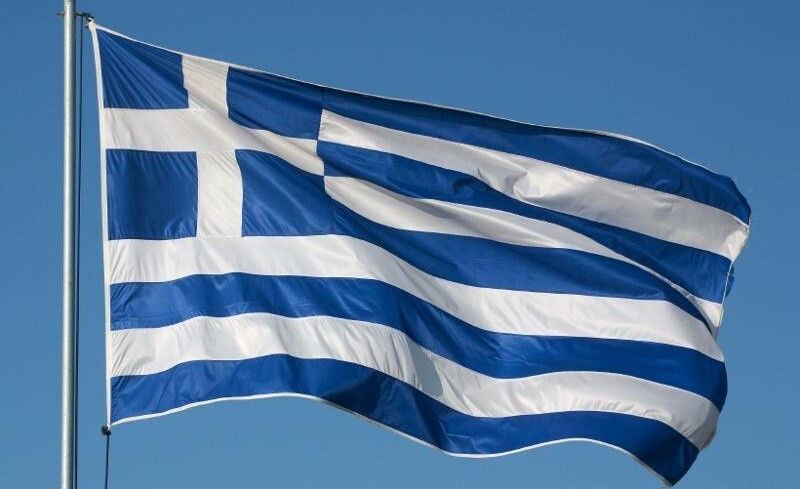 The Greek blue and white flag with a cross on the canton hoist was adopted in 1822. Blue and white colours are the national colours of Greece; the cross signifies the religious faith of the people who are predominantly (Orthodox) Christians; the 9 blue and white stripes represent the syllabus of their phrase of freedom- “freedom or death”- while the figure 9 itself, bearing a strong national significance. Amongst the variety of flag patterns that was designed during the time of their independence, this pattern with the cross emerged as the officially accepted one. Denmark is the oldest dynasty in Europe, so also is their flag, which is also known as the Danish Cloth. History has it that the Danish Cloth fell from heaven during the Danish battle in Estonia; it is believed to have fallen in Lyndanisse on 15 June 1219. This flag pattern is revered and even used by the Portuguese Order of Christ in their movement against the Moors. The Danish Cloth was officially adopted in 1625. The French Tricolor represents the precepts of the French Revolution. Just as no one definition can explain the choice of the colors on the flag, it represents a lot of remarkable memories in history – blue and red are the traditional colors of France, much so, it has a reference to the patroness of France, the Blessed Virgin Mary and white both signifies equality and symbolizes of the Royal House of Bourbon. The Tricolor was officially adopted on February 15, 1794. A square red field with a bold white “Swiss” cross at the centre; the Switzerland flag was introduced in 1840 and officially launched as a national flag on December 12, 1889. The white cross particularly represents the merging of 3 cantons- Uri, Schwyz, and Unterwalden- to form the Swiss Confederacy, a union of three cantons with the common interest of gaining their independence. In all, the flag takes its history from the coat of arms of Canton Schwyz. Switzerland has been independent since 1815. The Green-white-green flag was designed by 23-year-old Nigerian studying in London, Michael Taiwo Akinkunmi, in 1959 and was officially raised in 1960, after the country’s independence. The green colour stands for the nations immense natural endowments (resources) and white represents peace. The Malaysian flag was first adopted on 26 May 1950, was later modified and officially adopted on September 16, 1963. The Flag consists of a crescent which represents the Islamic religion of the people; alternate red and white stripes which represent the government and the 13 states of Malaysia and a 14 point Federal Star which represents the unity between the government and the 13 member states. The Saudi Arabian Flag largely consists of a large green field with Arabic inscriptions and a sword on it. According to Wikipedia, the inscription is often referred to as Shadada – which represents the bold profession of their faith while the sword stands for the House of Saud, the founding dynasty of the country. By their flag you can tell they are core Islams and as such are a religiously sensitive group of people. The flag was adopted on March 15, 1973. Morocco won their independence on 2nd March 1956 but the current national flag was restored in 1955. It is widely believed that the red colour represents bravery while the 5 pointed star (pentagram) represents Solomon seal. The Islamic-green coloured pentagram was included in the flag design under the administration of Mulay Yusuf in 1915. The Russian flag is equally divided into 3 horizontal parts – white, blue and red – at an equal ratio of 2:3. The different colour used on the flag has no definite individual interpretations. Some give it a political view, while some others give their interpretation based on the universal denotations of the colours. The history of the Russian flag is incomplete without mentioning the Soviet struggle. The flag was first introduced in 1720 and later re-adopted after the nation’s Slavic independence in the 90’s. The flag is basically divided into 2 halves – red and white at a ratio of 2:3; the white colour stands for purity while the red colour stands for brotherhood. The Singaporean flag was officially adopted on December 3, 1959, under the British rule and later re-adopted to commemorate their independence from Malaysia on 9th August 1965. The white crescent on the canton represents their freedom as a brand new nation and the pentagon of stars represents democracy, progress and justice. The design of the flag was completed in two months, bearing shared influences from Great Britain and the Republic of China. The Australian flag is identified by a largely plain blue colour with the Union Jack at the top left quatre (canton hoist) of the flag and constellations – 4 7 pointed & 1 5 pointed stars on the right (fly) and a large seven-pointed commonwealth star right under the union jack. The original flag was launched in 1901 and with further adjustments, this version was officially approved in the year 1954. This design has stood the test of time despite all forms of divisions and eventual unification; it was first adopted in 1919, then on May 23, 1949, and later in 1990. The 3 colours of the German flag take their precedence from the medieval times. They were the significant colours of the eagles designed on the emperor’s banner. It strongly symbolizes the eventual unification of the German empire. Designed by George Stanley, A Canadian historian and officially adopted on February 15, 1965, to replace an older union model; Consequently, this has resulted to the annual celebration of National Flag of Canada day on the same date. Red and white colours have been Canada’s national colour right from the reign of King George V in the early 20th century; and the red maple leaf, the national symbol of unity in the country. The national flag of the United Kingdom, also known as the Union Jack has been one of the longest-serving flag designs in history. Embedded in it are relevant historical symbols from the early part of the 17th century as the flag was adopted in 1801. The red and white crosses were merged together, signifying the amalgamation of Ireland and Great Britain; The red and white saltires represent St Patrick of Ireland and St Andrew for Scotland respectively; while the red cross represents the patron saints of England, St George. Till date, the flag is strongly recognized in Commonwealth occasions and nations. The American flag consists of an alternate 13 bold red and white stripes with 50 small white stars on a blue coloured rectangle, conspicuously designed at the top left-hand side of the flag. The stars represent the 50 states of the USA popularly known as the union while the stripes represent the old British colonies that formed the USA. After series of transition, this flag pattern was adopted in July 1960 under the administration of President Eisenhower; it has lasted for over 5 decades and still in use to date.